As you are designing your ideal backyard space, consider including elegant features such as a natural stone grill in your blueprint. Handcrafted and distinctive, stone grills can add an artistic and functional element to any outdoor living space. 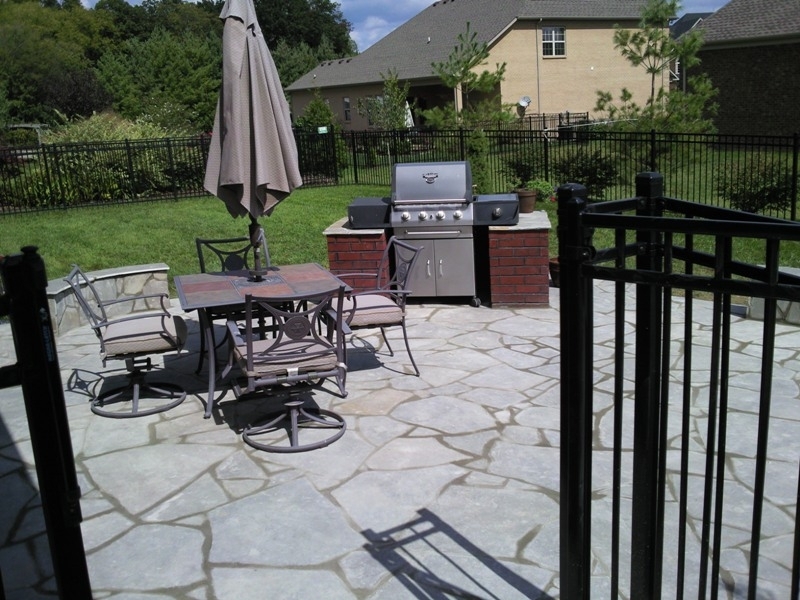 If you have a passion for grilling or love being the host of outdoor parties, a stone grill could be the right backyard addition for you. Our stone grills can be made from a number of different masonry materials to stylistically match your home or a previously built backyard patio. 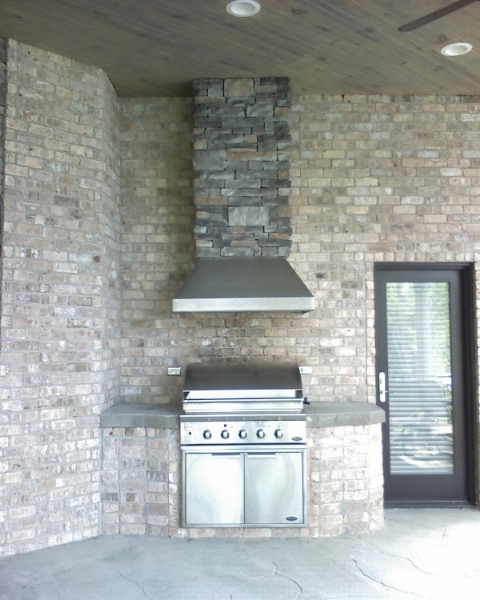 The masonry project we create can be constructed to serve as an open-air appliance or can include a range hood to match if the grill is located under a covered patio or another roofed area. 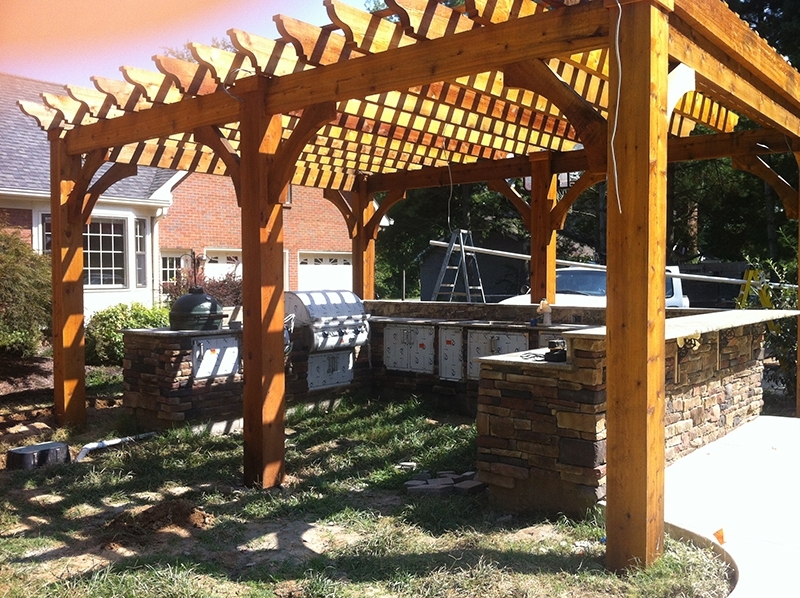 Consider placing a beautiful stone grill beneath a wooden pergola (pictured below), or using a combination of different natural stones to create a look that’s uniquely your own. An outdoor grill is something that’s bound to be used regularly when the weather is permitting. 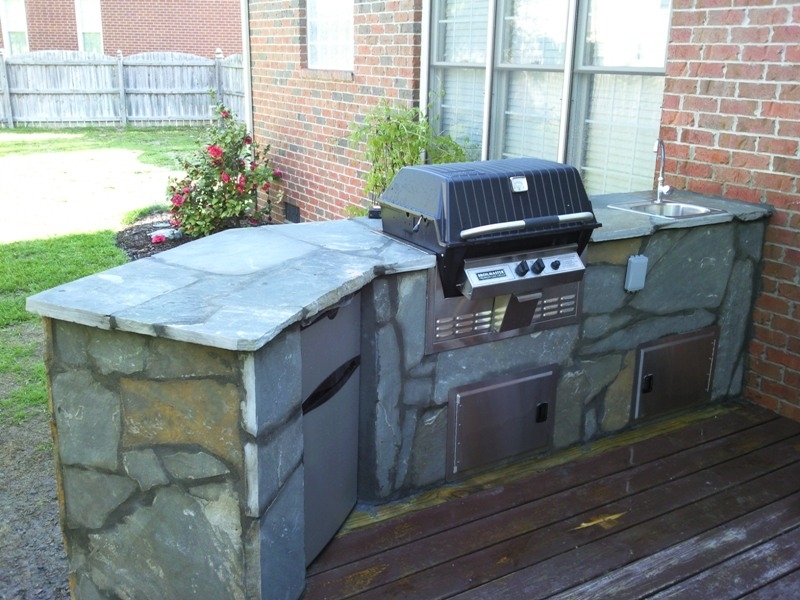 Step up your game from a regular old grill and have one made from a custom stone foundation. It’s functional all the while complimenting the rest of your home’s exterior design. 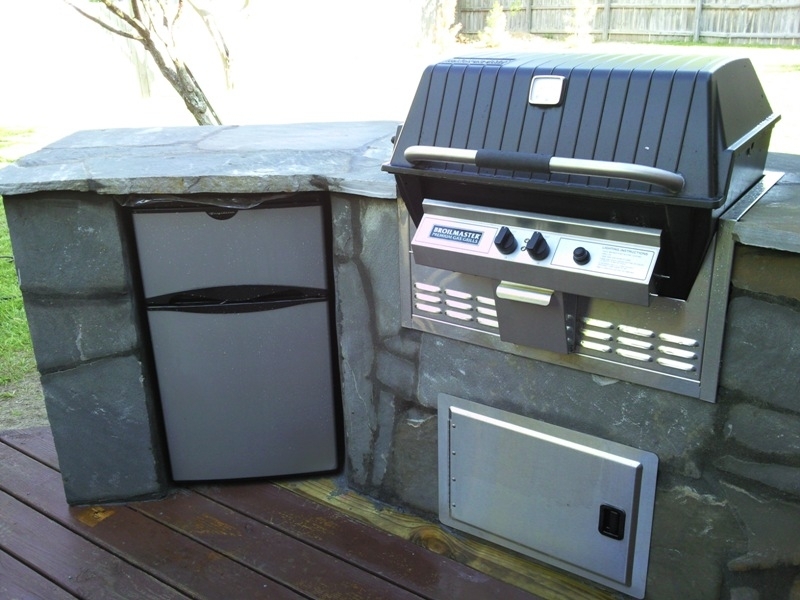 You’ll no longer have to worry about storing your old grill away every year or dealing with its aesthetic as it’s randomly placed throughout your backyard during the warmer seasons. 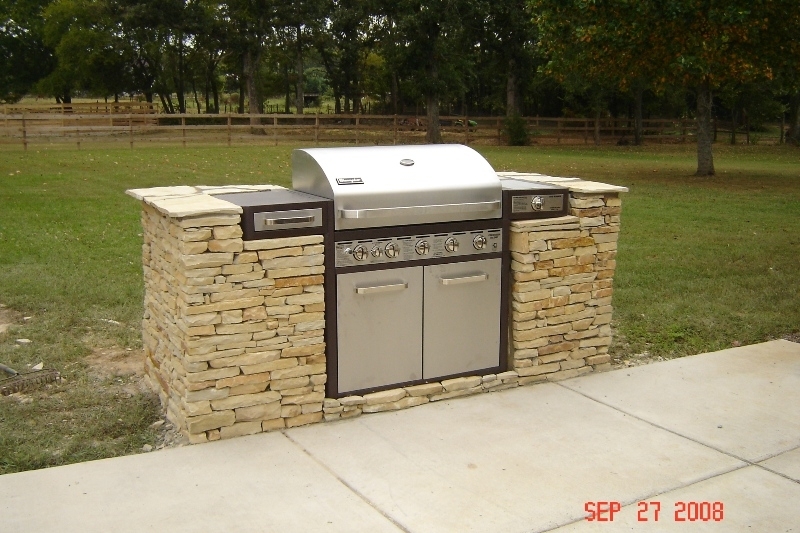 A stone foundation for your outdoor grill allows for so much more than just the grill. Create the ultimate backyard cooking station and avoid the hassle of running back and forth, inside and out, to get all of your different grilling essentials. 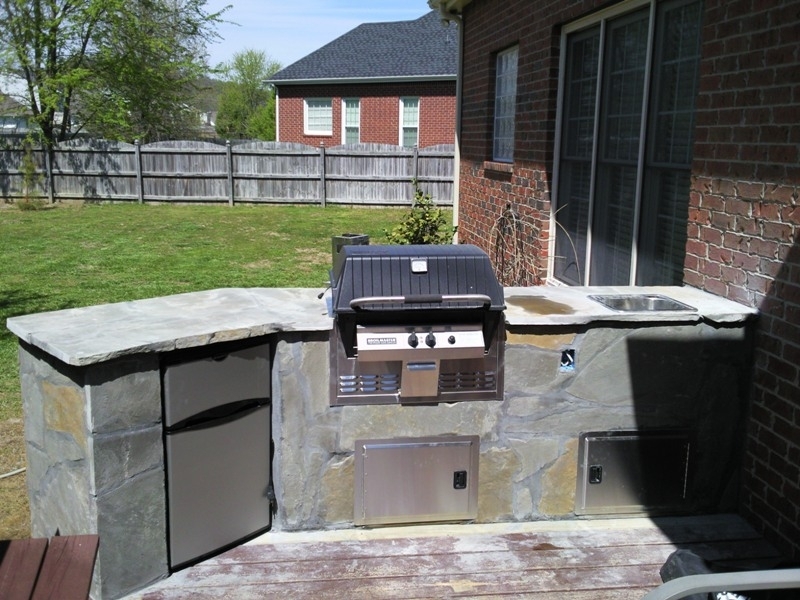 Our stone grill projects can be designed to include other appliances such as a mini fridge, stainless steel storage drawers, and a sink. 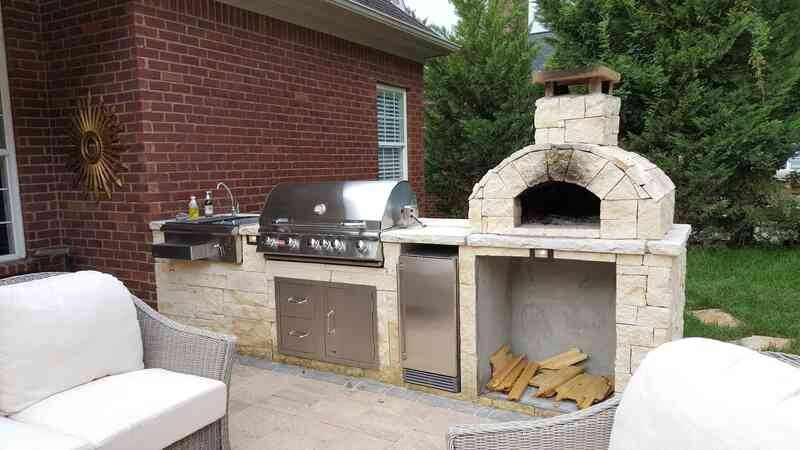 In addition to these appliances, as a stone foundation for your grill can also include a fireplace or pizza oven (and technically both if you want it all). 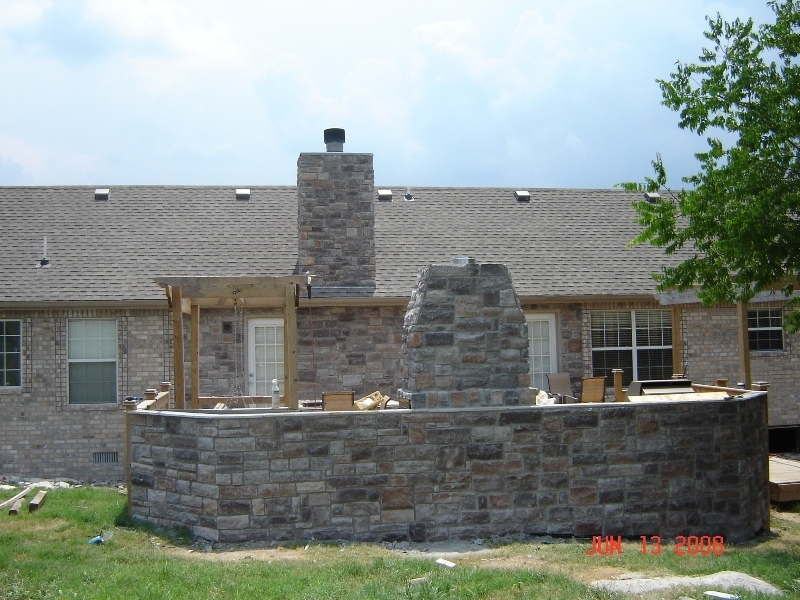 Building our projects by hand, we offer some of the finest masonry work in Middle Tennessee. 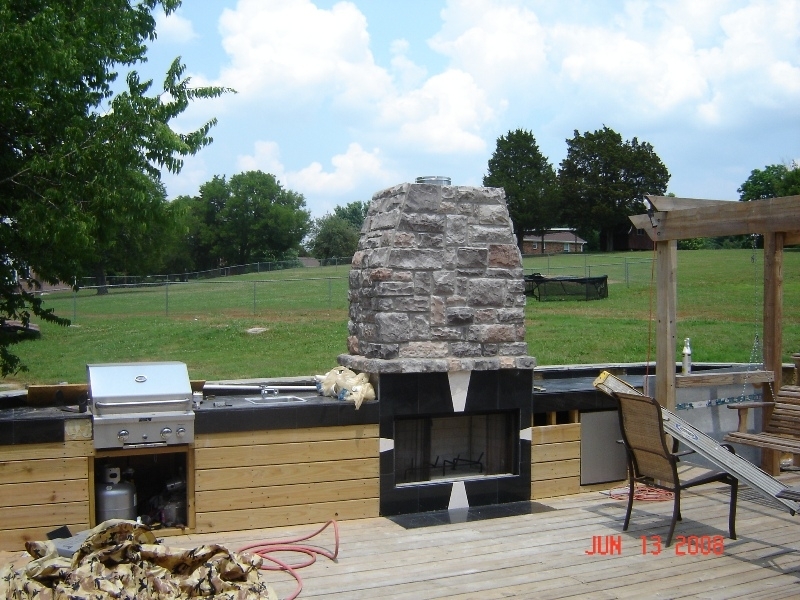 In addition to this, our team specializes in design and is able to create the masonry project you’ve been envisioning. 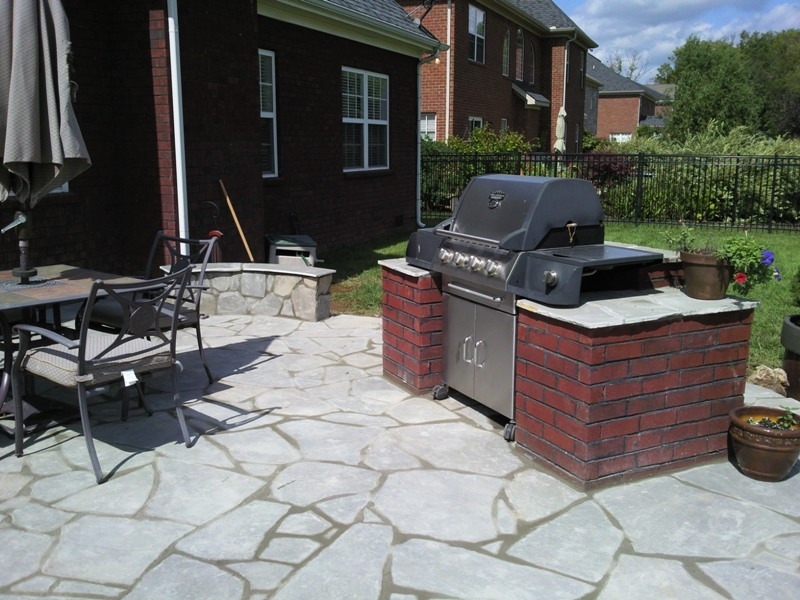 Call JORDAN’S Improvement at (615) 482-6351 or Contact Us today for a free consultation and estimate.